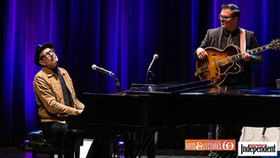 The Capitol Studios Sessions is the realization of this idea: jazz and standards presented in a manner that dares to be high-spirited and to make you feel good. 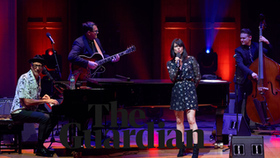 The repertoire includes favorite ‘60s jazz numbers ‘Cantaloupe Island' and ‘I Wish I Knew (How It Would Feel To Be Free)', the 1940s classic ‘Straighten Up & Fly Right' with guest vocals from Irish superstar singer and songwriter Imelda May, ‘My Baby Just Cares For Me' from 1930, featuring American songstress Haley Reinhart and the 1920s song 'Me And My Shadow' sung by comedian and actress, Sarah Silverman. 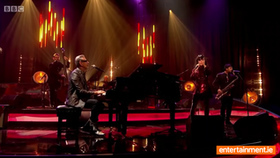 The band is joined by the extraordinary Grammy-nominated trumpeter Till Brönner. 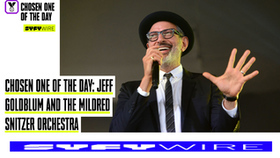 Jeff Goldblum and The Mildred Snitzer Orchestra deliver the feel and the swing, and they make it fun, funny, and familiar. 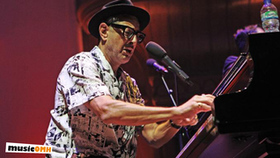 Those are words not often associated with jazz, though they still can be, and with this album we are reminded of that. 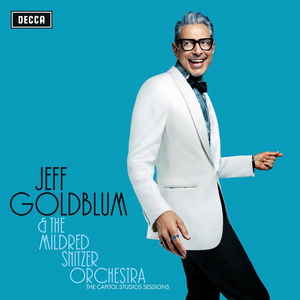 You've had a residency as a jazz pianist at the Los Angeles club Rockwell for years, but you just released your first official album with your group, Jeff Goldblum and the Mildred Snitzer Orchestra. I've been out and about in different places around Hollywood, just for fun. Thirty years ago, Peter Weller and I had this opportunity to go out and play with real musicians. I really loved piano as a kid. I had a couple of cocktail-lounge jobs in Pittsburgh, and then I've put it in movies a couple of times. It doesn't even feel like a performance of any kind. I'm not really trying to impress anybody. What were your early musical influences? I played classical music in my early training, but I was a bad, undisciplined student, so I would dread my teacher coming over. 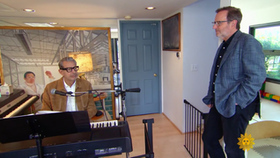 He gave me "Alley Cat," which had syncopation with it, and finally I was like, "I'm going to sit here and play until I know how to do that." 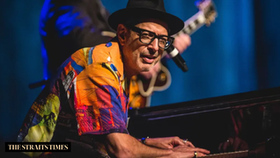 He gave me a couple of other things, "Deep Purple," by Peter De Rose, and "Stairway to the Stars," by Matty Malneck and Frank Signorelli, and those chords did something to me. 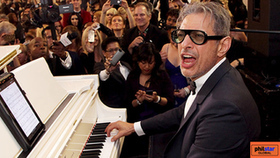 I think your acting style has always been very jazzy. You have a way of reading lines that makes them feel loose. Well, Sandy Meisner, my first teacher in New York, said don't copy anybody, so I've tried to find my so-called voice. I like playing characters. I feel like my improvisation has gotten better and more fully used recently on "Portlandia" and "Thor: Ragnarok." I've tried to find an authentic and clear path that allows me to contribute something that is of myself, something that I think I can do. 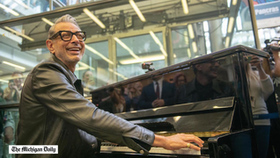 Twenty-four minutes and 58 seconds into his new album, Jeff Goldblum gets the inevitable "Jurassic Park" reference out of the way. It was no surprise that this would occur, not even halfway through "The Capitol Studio Sessions." 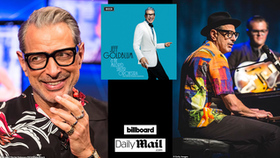 Despite that and a cameo by comedian Sarah Silverman, the record was a fun and intelligent collection of jazz tunes written by a variety of historically acclaimed jazz musicians. Such famous names as Herbie Hancock, Charles Mingus, Duke Ellington, Nat King Cole and even Marvin Gaye wrote many of the tracks. One might wonder how the actor's name belongs alongside some of the biggest names in jazz. 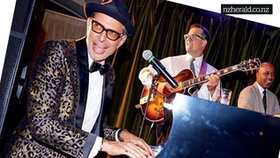 As it turns out, Goldblum is a somewhat accomplished jazz pianist, and plays covers with his band, the Mildred Snitzer Orchestra. 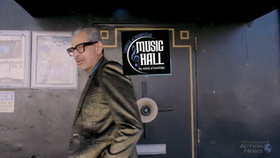 Notwithstanding, "The Captiol Studio Sessions" will stay in my library, if not just for novelty, for easy listening in the back- ground of a cocktail party. 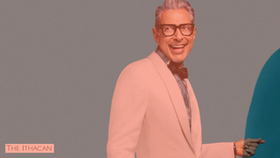 It is that good, but I will still probably utter, "hey, did you know this is Jeff Goldblum?" 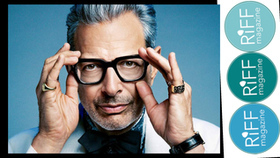 Can we all just agree that Jeff Goldblum is entirely too talented? 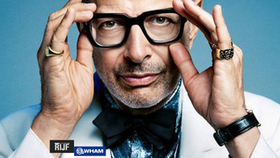 He's both a style icon and versatile actor who seems to be one of the most-loved humans on the planet. And there are enough reasons to love him we've devoted an entire month to him. But that's not all. 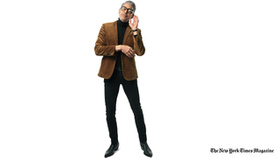 Jeff Goldblum also has a jazz band. 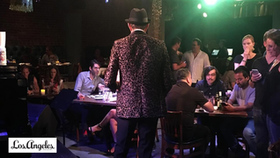 And if you're ever in Los Angeles, they have a weekly show at the Rockwell, which is an intimate space where you're basically within 10 feet of Jeff Goldblum for several hours WHILE HE PLAYS JAZZ MUSIC. For some, that may be too intimidating but the soothing music (and some booze) will keep you calm and swaying. 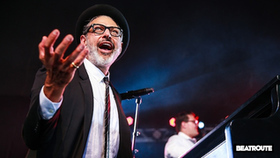 Watch Jeff Goldblum's 'My Baby Just Cares For Me' from forthcoming 'Capitol Studio Sessions / udiscovermusic.